I looked everywhere for Peter F. Lenihan, a widely admired labor organizer for the International Brotherhood of Electrical Workers. The problem was that his name was misspelled in an old issue of the Union Telephone Operator, the trade journal for the telephone operators union. But it was spelled correctly in the notice of his death. 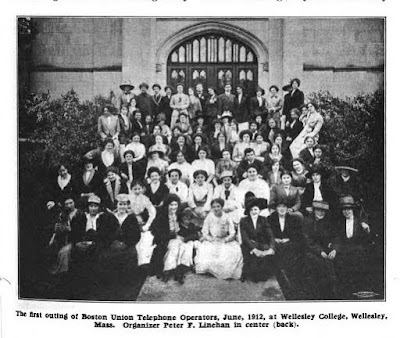 In 1912, the IBEW sent Peter to Boston to work with a group of women operators who wanted to strike against the New England Bell Telephone Company. Ultimately he recommended that they focus on forming a local – the Boston Telephone Operators Union – and try to negotiate with the company. Years later, they remembered his patience, energy, and wisdom. 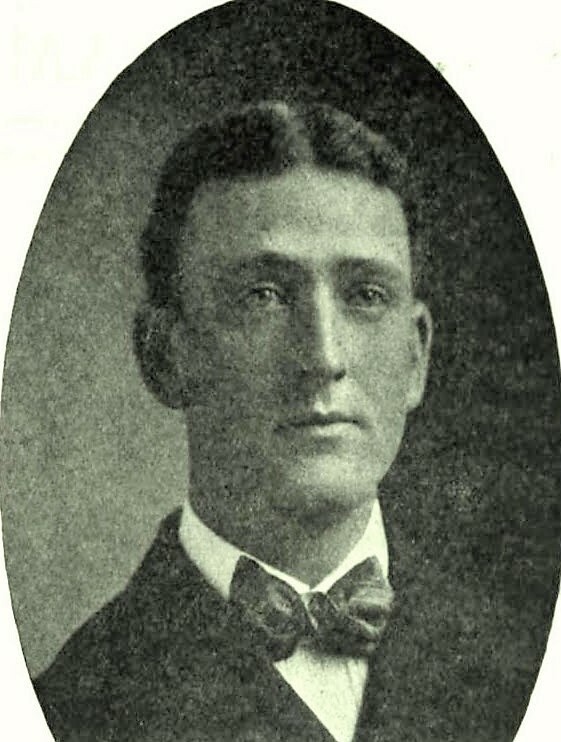 Peter, a shop electrician, probably became active in the union during the late nineteenth century as the labor movement expanded in response to greater industrialization. The IBEW was founded in 1891 and represented linemen, cable slicers, fixture hangers, trimmers, switchboard men and shop men. From sweatshops to meat processing plants, inhumane, unfair treatment and vile working conditions led to labor unrest. 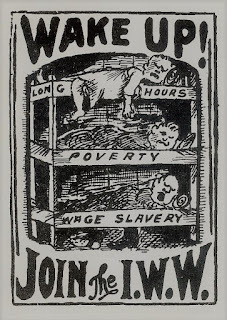 Unions organized aggressively, and often failed. 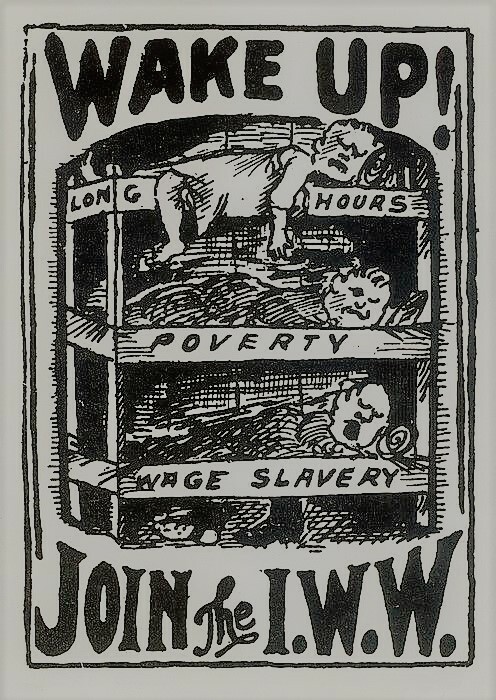 Some of the most famous incidents of labor strife occurred during the years surrounding the Panic of 1893, which was triggered by a credit shortage and awakened American workers to the prospect of long-term unemployment. The 1892 strike at the Carnegie-owned Homestead Steel Works culminated in death and defeat for the steelworkers. In 1894, 100,000 unemployed men led by a progressive-minded businessman named Jacob Coxey marched from Ohio to Washington, D. C. They asked the U.S. government to provide jobs by investing in the nation’s poorly maintained roads, to no avail. Also in 1894, the American Railway Union struck against the Pullman Company. President Cleveland ordered the army to break the strike and 90 workers were killed or injured. goal of being "one big union." Brother Lenihan, as his colleagues might have called him, found a place in the middle of the action, working behind the scenes. With a wife, Martha, and four young daughters at home in the Bronx, he tried not to put himself in harm’s way. When Peter arrived in Boston in April 1912, he found a list of grievances typical of its time: excessive hours, low wages, unpaid overtime, petty penalties, no break time, and the company’s use of the dreaded “split trick,” as the split shift was known. It forced employees to work two shifts per day with no guarantee of a stretch of consecutive hours. The extra commuting time inflicted stress and exhaustion. Everyone knew the conditions were bad. In 1909, Congress had asked the Bureau of Labor to investigate the conduct of telephone companies. The survey covered 34 Bell Telephone companies and nine AT&T companies nationwide. 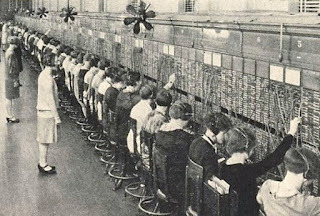 Among the many problems cited were poor ventilation, the spread of tuberculosis through receivers and transmitters, eye strain related to flashing switchboard lights, ear strain related to buzzing and the callers’ poor enunciation, and verbal abuse from supervisors and callers alike. Recent scholarship points to sexual abuse, as well. While Peter always represented the IBEW, he also worked closely with the Women’s Trade Union League, founded in Boston in 1903. 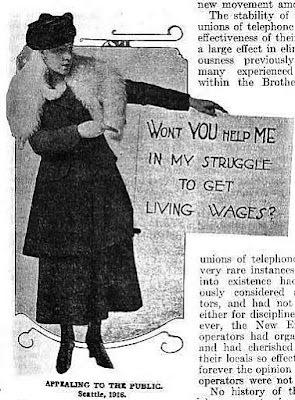 The WTUL formed in response to the marginalization of working women; the nation’s largest union, the American Federation of Labor, focused on white men. Jane Addams, founder of Chicago’s Hull House, and Emily Greene Balch, a peace and labor activist who taught sociology at Wellesley College, were among the WTUL’s first officers. Professor Balch, who would receive the Nobel Peace Prize in 1946, actually went into the field to interview telephone operators, needle workers and other factory women. 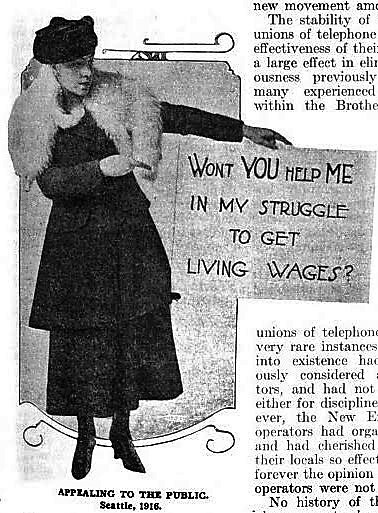 Perhaps it was Emily Greene Balch who urged Peter to organize an “outing” for the Boston telephone operators in June 1912. What better place to spend the day than on Wellesley’s beautiful campus? Eventually Peter returned to New York. In 1913 the Boston local struck with little success. But the women roared back after the Great War, winning major concessions from Bell Telephone. The telephone operators always had a “friend in court” in Peter F. Lenihan, and his untimely death was a serious blow to those of us whose happy privilege it had been to work under his guidance. I wish I didn't focus on why he died so young, and so "suddenly," but such mysteries fascinate me, particularly when a wife is not mentioned. I can't help wondering if he had such a different attitude that most men of his time because he was not like most men of his time.